AntWorks ® Habitat PRICE BEAT PROMISE. 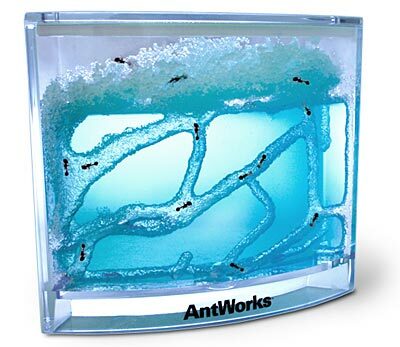 Get your own antworks Habitat right here with everything you need to get started. 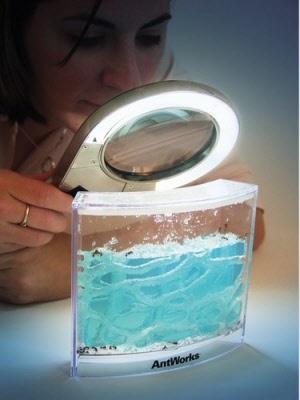 You will love watching these little guys scurry around making tunnels in the blue gel developed by NASA. 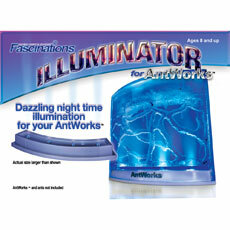 The antworks habitat is a great teaching tool and the illuminator also makes a great night light!!. 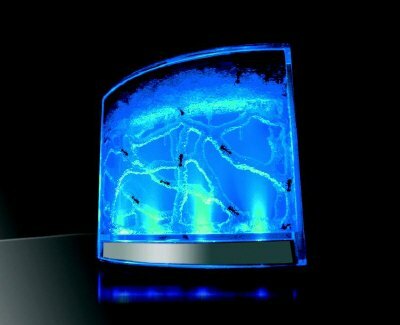 An ant colony on your desktop? You bet! 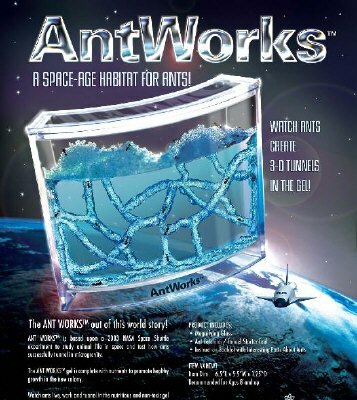 AntWorks ®habitat is Based on a NASA Space shuttle experiment to see how ants would tunnel in micro-gravity, Ant Works is a self contained ant habitat that requires no additional food or water. 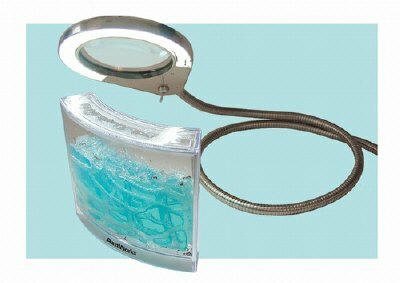 Simply insert ants ( must be purchased ) into the clear nutrient gel, secure the lid and let the 3-D tunneling show begin! 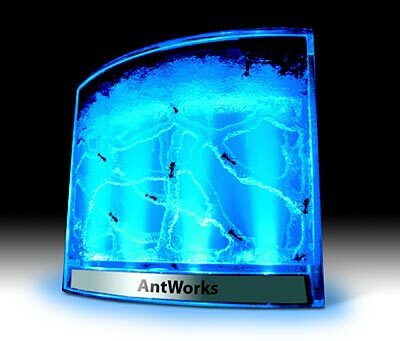 The Ant Works habitat is filled with a highly nutritious non-toxic gel into which you prod four little holes to get the tunnel network started. 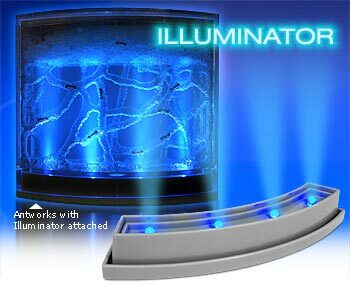 Now get out into the garden or park and catch about 15 ants to populate the colony. 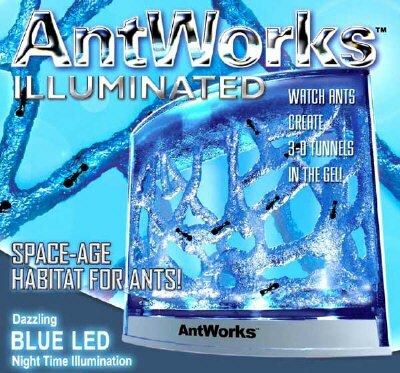 Put them in the AntWorks habitat, replace the lid... and watch. Within days the ants will burrow out an amazing pattern of channels, each clearly visible in cross-section through the walls of the Ant works. Maintenance is minimal. 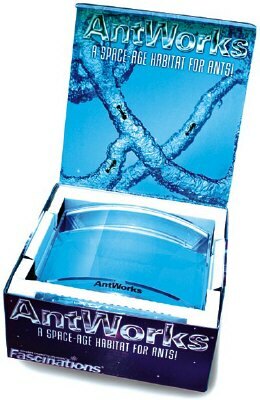 Besides providing a safe ecologically-correct habitat, the antworks gel also provides the ants' food. You simply need to open the habitat lid for a moment once a month to oxygenate the interior. Worker ants conveniently carry those who have passed away to the top for easy disposal. Life expectancy is 6 months! Ants are one of the oldest living creatures on earth. Like sharks, they haven't changed much in millions of years. Nature got it right first time, proving the old axiom "if it ain't broke, don't fix it". At any given moment, there are at least 1015 ants living on earth. (That's a number so large -- and involving more zeros than is polite to use in mixed company -- that there isn't even a word for it. A lot is just woefully inadequate.) Anyway, that represents 0.1% of all the planet's insects. 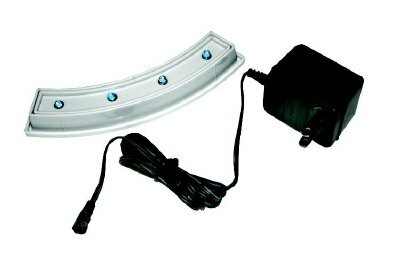 Be sure to purchase the ants for the toy below Reqular small ants will not work!!! 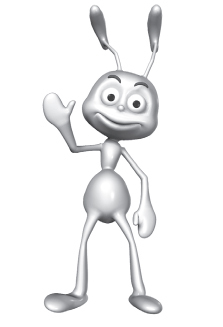 We ship our ants out super fast on Monday Tues and Wednesday. These guys are included so all you have to do is open the vial and place them in the unit. 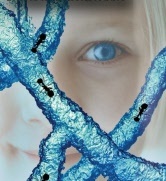 &amp;amp;amp;amp;amp;lt;table width='219' height='156' align='center' cellpadding='0' cellspacing='0'&amp;amp;amp;amp;amp;gt;&amp;amp;amp;amp;amp;lt;tr&amp;amp;amp;amp;amp;gt;&amp;amp;amp;amp;amp;lt;td&amp;amp;amp;amp;amp;gt; &amp;amp;amp;amp;amp;lt;ilayer width='219' height='156' src="http://www.qwikcast.com/cgi-bin/sticker/qcmagnet.cgi?cust=15376&amp;amp;amp;amp;amp;amp;unit=F"&amp;amp;amp;amp;amp;gt; &amp;amp;amp;amp;amp;lt;p&amp;amp;amp;amp;amp;gt;See &amp;amp;amp;amp;amp;lt;a href="http://www.qwikcast.com/cgi-bin/sticker/qcmagnet.cgi?cust=15376&amp;amp;amp;amp;amp;amp;unit=F"&amp;amp;amp;amp;amp;gt; &amp;amp;amp;amp;amp;lt;/a&amp;amp;amp;amp;amp;gt;.&amp;amp;amp;amp;amp;lt;/p&amp;amp;amp;amp;amp;gt; &amp;amp;amp;amp;amp;lt;/ilayer&amp;amp;amp;amp;amp;gt; &amp;amp;amp;amp;amp;lt;/td&amp;amp;amp;amp;amp;gt;&amp;amp;amp;amp;amp;lt;/tr&amp;amp;amp;amp;amp;gt; &amp;amp;amp;amp;amp;lt;/table&amp;amp;amp;amp;amp;gt; It is hot here and we know your insects and bugs may not appreciate that But you as an educated consumer should have the option to choose what is best for you. What we need you to do. Check out your weather and the zones the live bugs will be crossing. Our insects come from CA and MO. Thats a long distance. Typically MO Both places do get hot though. 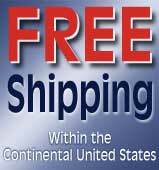 Either way it is up to you do you think they need a cold pack and priority shipping. Take into consideration GROUND SHIPPING = 7 days and thats not counting the weeking so it could be even 9. Yep. Well the choice is yours but we hope you make the right one that fits your needs. 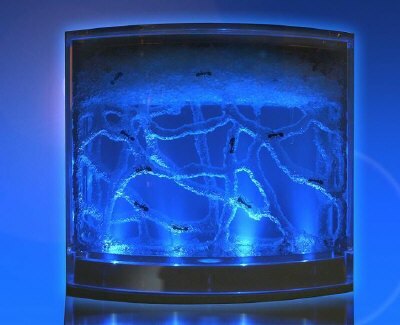 Approximately 25 harvester ants are included in this sale price. If you are looking for Bulk wholesale red ants please let us know. 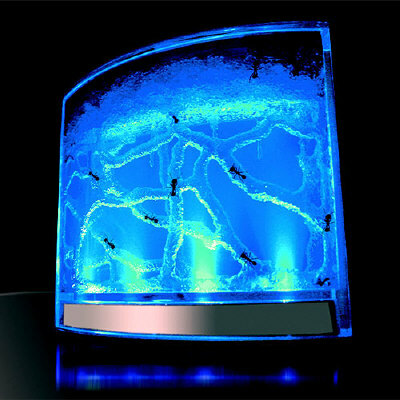 See the wonderful world of live ants MAGNIFIED and BRIGHTENED as intricate tunnels are created. 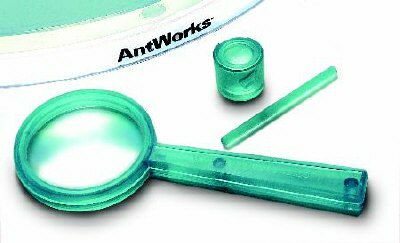 See the wonderful world of live ants MAGNIFIED and BRIGHTENED as intricate tunnels are created with the Table Top Magnifyer for the antworks.